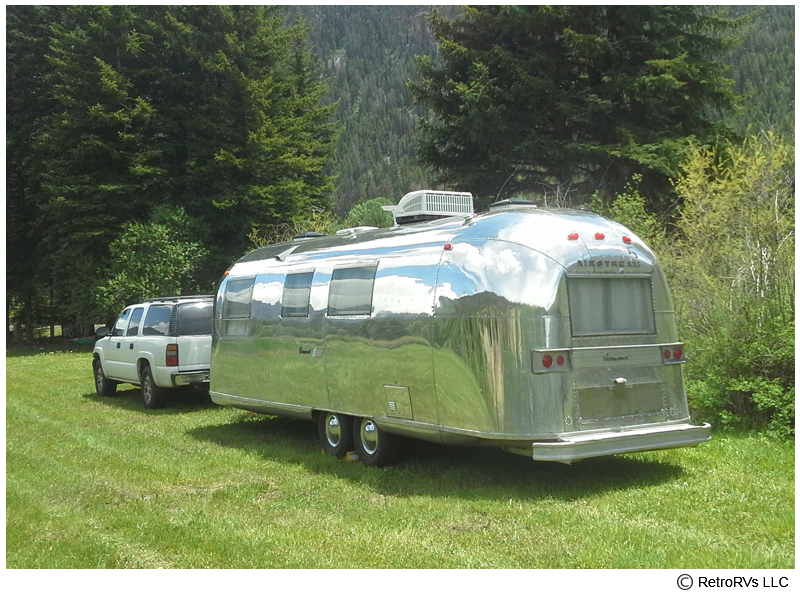 Renting with RetroRVs lets you experience the adventure of the open road in a classic Airstream. 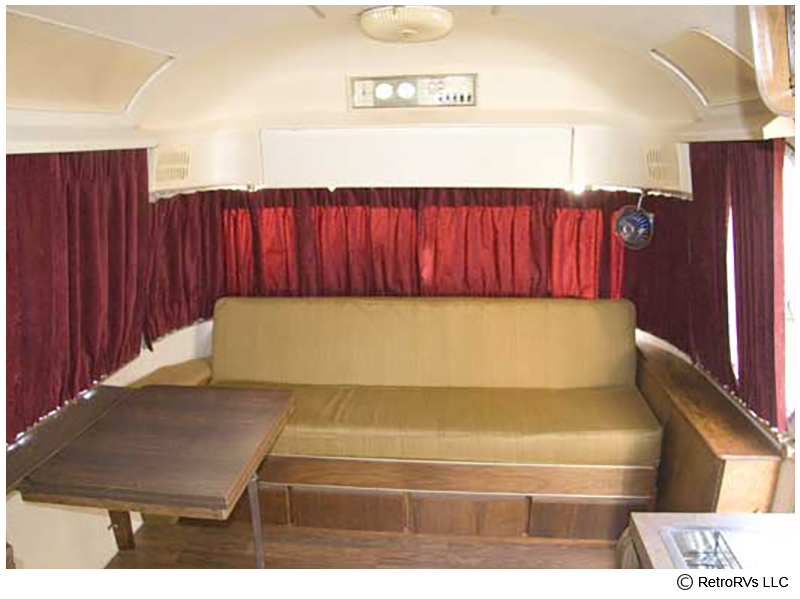 Transport yourself back to the 50's with this classic, beautifully restored, 1959 Airstream Tradewind. 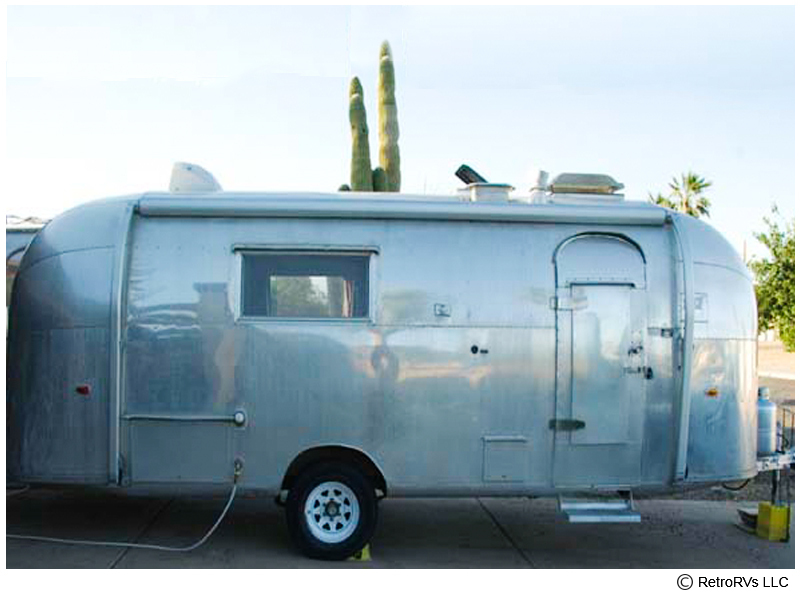 Fully equipped and ready for your road trip with a full bath, large fridge and a stove complete with oven. 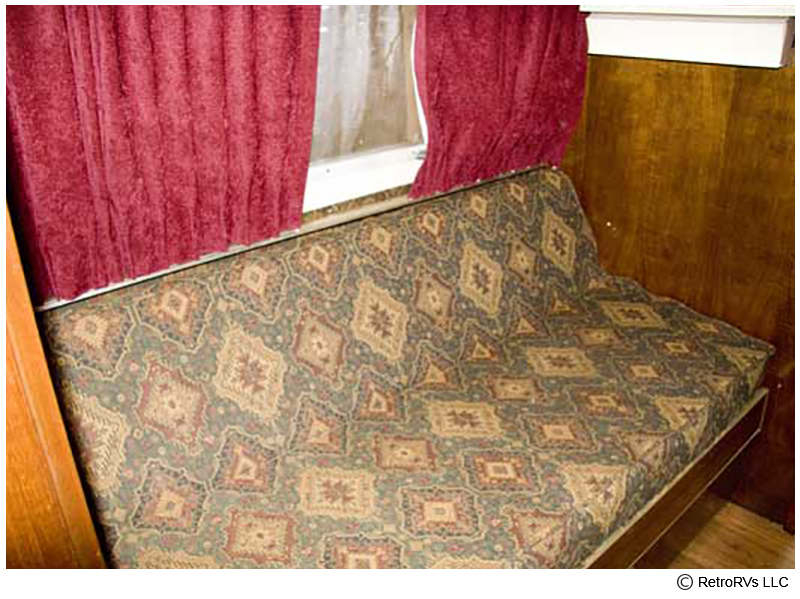 Sleeps 4 with a dinette that converts into a full bed up front and two twin beds in the back. 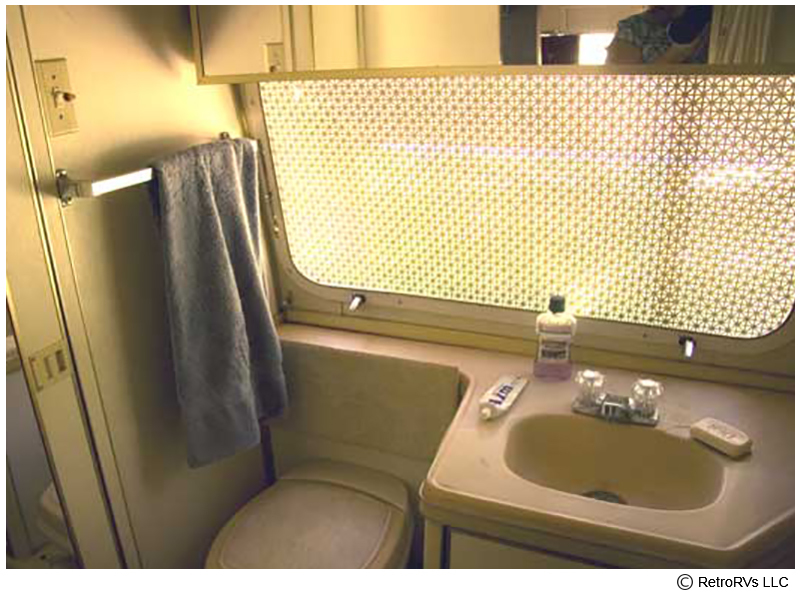 This retro retreat was the best trailer money could buy in 1970. 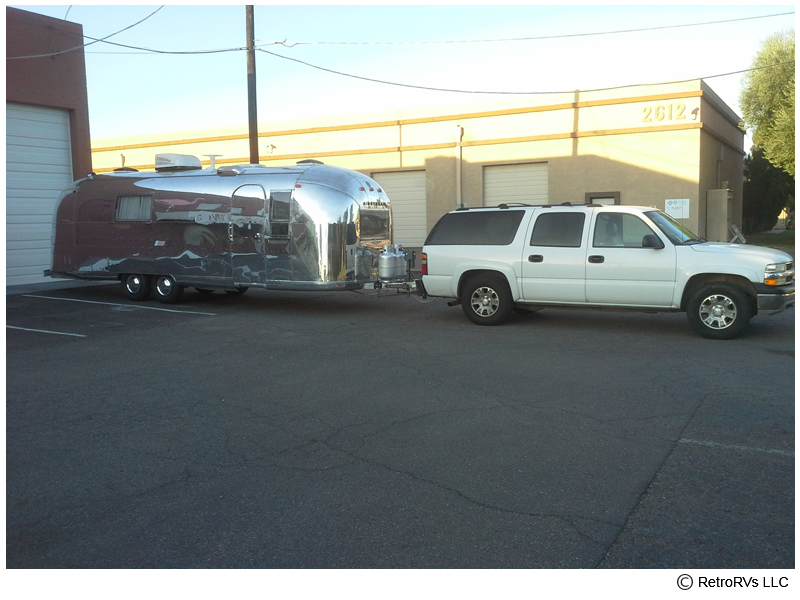 It has a full bath with a bath tub and shower in the rear, a couch with vista capturing windows in the front, adjoining the kitchen. The kitchen is equipped with a four burner gas range and oven, a sink with running water, a refrigerator with freezer, and even a microwave. The 8-track deck player brings the 70's right back into your mind. 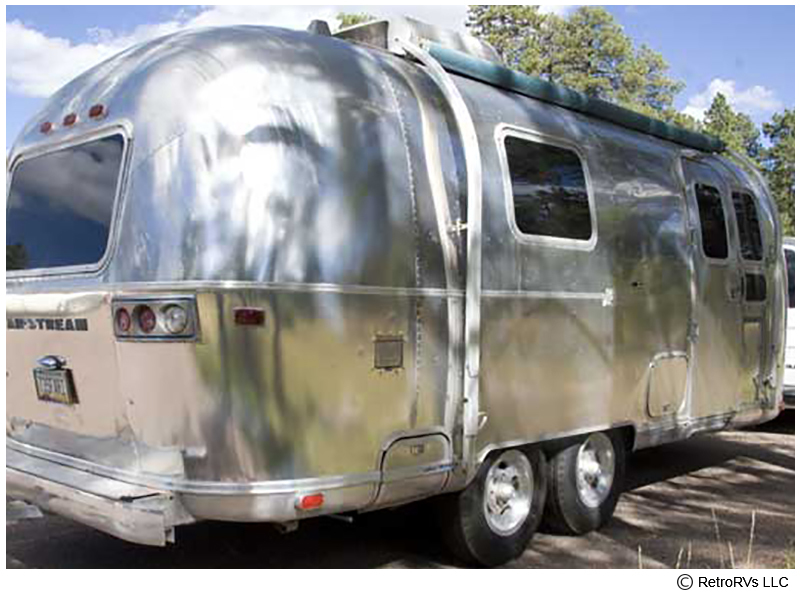 This is a great Airstream for family vacations. 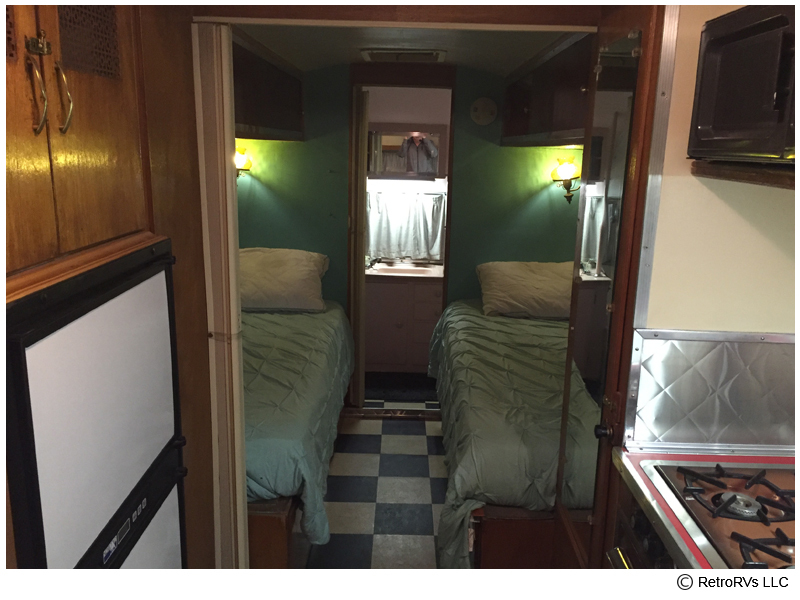 The bedroom in between the kitchen and the bath and features a second couch that folds down into a double bed, a twin bed, and a bunk bed. A 19-inch flat screen 12 volt TV is mounted in the front room so that it can be seen from the front couch, and has a 12 volt DVD player so you can enjoy a good movie at night or on a rainy afternoon. This trailer sleeps 6 (and one more on the floor using an air mattress) and has both air conditioning and a forced air furnace. A gas light in the front room saves power and sets a mood from a bygone era. 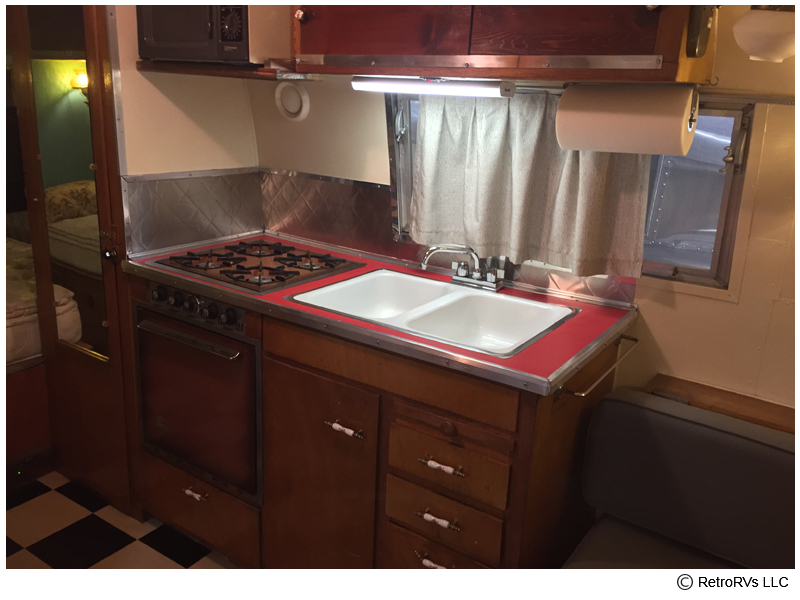 This classic 1973 Safari Land Yacht has a full bath with shower in the rear, a couch with vista capturing windows in the front, adjoining the kitchen. The kitchen is equipped with a four burner gas range and oven, a sink with running water, a refrigerator with freezer, and even a microwave. The gold countertops bring the 70's right back into your mind. The bedroom in between the kitchen and the bath and features a second couch with a dresser and wardrobe closets. A 19-inch flat screen TV is mounted on an articulated arm so that it can be seen from either couch, and has a 12 volt DVD player so you can enjoy a good movie at night or on a rainy afternoon. 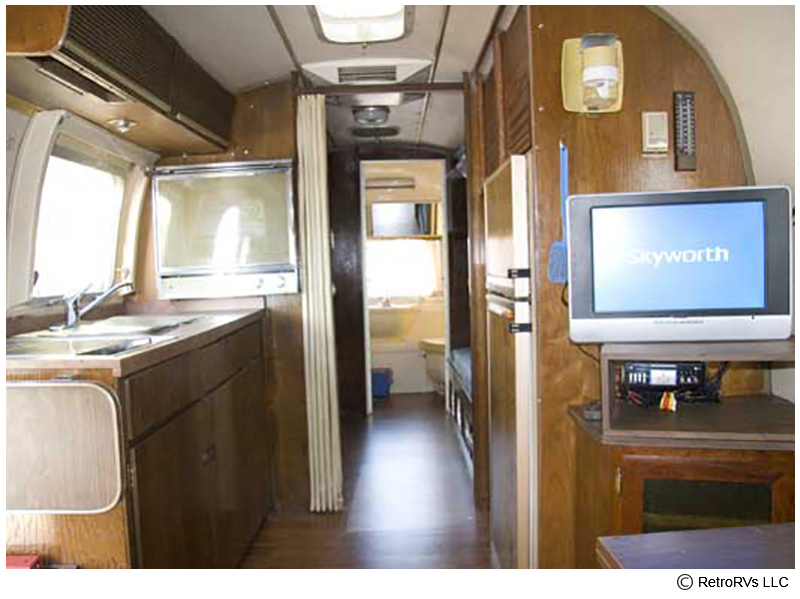 This trailer sleeps 4 and has both air conditioning and a forced air furnace. Don't have a vehicle that can tow? 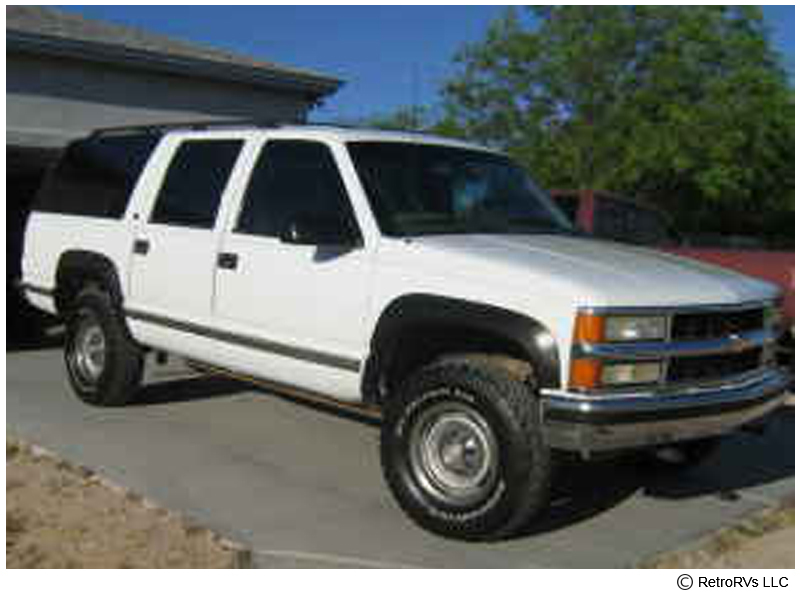 We have a Chevy Suburban that is rated and equipped to tow any of our Airstreams with enough room for you and your crew. 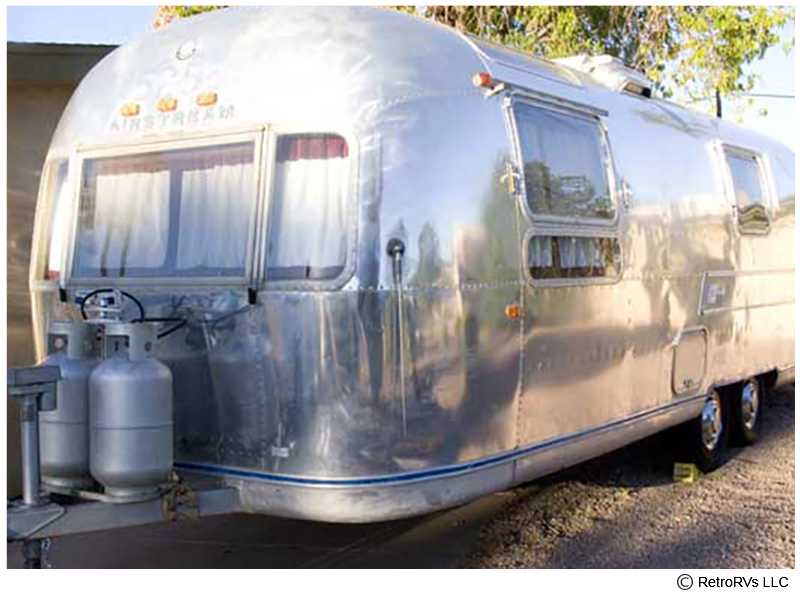 RetroRVs does vintage airstream rental, sales, repair and renovation.